The terms and condition provide information on our service and processes. For further information or clarification on anything, please get in touch. a All the terms of the contract are contained in this document. If you want to change these terms or add any extra terms, you should ask for written confirmation of any changes from one of our directors. b The Company reserves the right to cancel any order if, upon receipt of a report from its surveyor, the installation is deemed unsatisfactory to the Company. c We will write and tell you about any cancellation within fourteen days of us receiving the report from our surveyor. d If we cancel the contract according to clause 1, we will refund the deposit and any other payments you have made under the contract but we will have no further liability to you. e We reserve the right to change the price in the event of a manifestly obvious error. a By law (Consumer Protection Regulations 1987) you have the right to cancel this contract (by giving us written notice within fourteen days of you signing the contract) if you signed the contract away from our business premises. b You do not have the right to cancel this contract if you signed the contract at our business premises or if we have sent you a quotation and you then contact us. c Any notice of cancellation given by you under 2a above after fourteen days of you signing this contract will not be valid for the purposes of cancelling the contract under this clause. d We recommend that you send any notice of cancellation by email or recorded-delivery post. e If you cancel the contract under this clause, you will receive a refund of any money you have paid under the contract. We will then have no further liability to you. a It is your responsibility to find out if you need planning permission or building regulations approval for the goods. We will not be liable for any costs, expenses, loss, or claims for compensation or any other liability arising directly or indirectly as a result of you not getting planning permission or building regulations approval. a To install the goods we may have to put up scaffolding at your property. We will where possible include scaffolding in the quotation. However, if our survey report reveals scaffolding will be necessary this may increase the price of the goods and services. If we do need to put up scaffolding at your property to install the goods, we will tell you about any price increase in writing. If you then want to cancel the contract you may do so, see clause 2.
a You are responsible for giving us all specifications and other information and for making sure they are accurate. You must also give us the specifications and information in enough time so we can carry out our side of the contract. b We use demonstration products to show how a typical product works and what it is made of. The goods shown in the schedule will, as far as possible, be the same in appearance and operation as the demonstration products. 3 in line with our policy of continuous development in the standard of products, we reasonably believe that substituting the agreed parts or materials with replacement parts or materials will improve the quality or performance of the goods or that the replacement parts are of a superior quality. d We make the goods for your particular needs and so you may only alter the order if we have not started to make the goods or set aside any raw materials for your order If we agree to alter the order, we can also charge you an administration fee of £50 (including VAT) for the extra administrative work we have to carry out on your behalf as a result of the alteration on top of increasing the price for the alteration. e We will make good brickwork and plaster immediately next to each unit we install as long as the surround is in good condition. We do not accept responsibility for restoring or matching the state of external or internal decorative repair if this has been unavoidably disturbed or if the existing surround is in poor condition. f If we carry out building work, we will do what we reasonably can to make sure we use matching brick or stonework. However, we cannot guarantee this because the brick and stonework we use depends on what is available at the time from our building material suppliers. There may be variations in colour and texture, particularly if the original brick or stonework is weathered or is rare or very difficult to get hold of. g When we install any units we will only remove any old frames and replace them with new. We will not carry out structural alterations or repairs, unless we have agreed to do so in writing. All items we remove during installation will become our property and we will be responsible for removing them unless you make arrangement which we agree to in writing beforehand. a The price of the goods and services will be the quoted price as shown in the schedule (including VAT) and will be valid for ninety days, after this time a new quotation will be required. b Unless clause 6c applies, payment of the total price (less any deposit paid (25%)) shall be made by the Customer to the Company (or its representative) immediately upon satisfactory installation. Paying on time is an essential part of this contract. c In some rare cases due to unforeseen circumstances, there can be issues which may result in the Installations Team needing to return at a later date. This could be as simple as a piece of broken glass. However, you will be notified of this in advance and we will require 95% of the remaining balance of the full invoice (after deposit) on the initial completion day and the remaining balance to be paid on final completion day, which will be arranged in a timely manner. e If you have agreed to one of our finance options or have company approval for a home improvement loan, a completed ‘Finance Satisfaction Note’ must be handed to the installer upon completion of the works. f If you choose to pay for the goods under this contract in cash, we may want to contact a credit reference agency to discover your existing credit history. If we believe you cannot pay for the goods, we may cancel the contract or agree a method of payment with you. g Subject to terms 6c, if you fail to pay us on the due date, we will be entitled to charge you interest daily on the amount you have not paid at the rate of 3% above the Bank of England base rate. We will charge interest until payment in full is received, if this exceeds fourteen days additional charges to cover admin may apply. Any additional costs incurred in recovering the outstanding monies will be liable for payment by you. a We will arrange for our surveyor to prepare a survey report for us. This report is prepared for our benefit only. b You will be required to pay a 25% of the installation/contract value as your deposit. You must pay this deposit at the point of Survey. The deposit will count towards paying for the goods and services we have agreed to provide. Once we have carried out a survey, we will not refund your deposit unless you cancel the contract under clause 1 or 2.
c We will give you a proposed date for a survey which will be a date within twenty-one days of the date of the contract. If the survey date is not convenient, you must either phone us or write and tell us within three working days of us telling you about the survey. We will then arrange with you a new date which will not be later than fourteen days from the original proposed survey date. d The survey date will be the date we give you or, if that date is not convenient, any date we agree with you. If the date on which the survey is to take place is still not convenient, you must tell us as soon as possible and we will rearrange this date one final time for a date within seven days from that survey date. However, after this, we will not have to rearrange the date. e If you do not allow the surveyor to survey your premises on the date we arrange, we will be entitled to treat this contract as cancelled in which case you must pay us our reasonable expenses. We will refund the deposit you have paid after we have taken out our reasonable expenses. f We will tell you the proposed installation date following final survey. g We will let you know if we have difficulties in carrying out any building work or installation that our surveyor could not have expected (using reasonable care and skill in carrying out the survey of your property) and which increase the cost of us carrying out the work for you. We will confirm these difficulties to you in writing. We will also tell you the cost of overcoming these difficulties. We will be entitled to increase the price of carrying out the work by the amount it costs to sort out any difficulties. However, if we increase the price by more than 2.5%, you may cancel the contract. If you want to cancel the contract, you must confirm this in writing within fourteen days of you receiving our notice telling you about the price increase. We will remind you of your right to cancel the contract when we tell you about the price increase. If you cancel the contract according to this clause then we will be entitled to be paid for the work we have carried out up to the date of your cancellation. h If, after we have carried out a survey, you refuse to go ahead with the installation, we will be entitled to treat this contract as cancelled. If we have not yet made the goods, you must pay an amount equal to 25% of the value of the contract (after VAT). If we have made the goods, you must pay an amount equal to 75% of the value of the contract (after VAT), together with our reasonable expenses. i We have high level of quality control to ensure you receive the best products. If a product failed our quality check we will order a replacement and contact you with at least 48 hour’s notice (and in rare cases within 24hour) as it may be necessary to re- schedule your installation date. Polar Bear Windows Ltd only delivers quality products and will not be held responsible for any loss of earnings or pay compensation due to altered installation dates. j Although we will try our best to avoid any damage to decoration, If damage does occur Polar Bear Windows Ltd will not be held responsible unless we have been negligent. a You are responsible at your own cost for the following. 1 You must make sure that you keep to all laws, orders, council or local government regulations or directions which relate to any authority or permission which you need for the installation. This means you must get all licences and permission necessary for the installation. 2 You must remove all ornaments and fixtures such as curtains, pelmets, blinds and any other articles of furniture on or adjacent to the window/door areas before the installation and replace them afterwards. Alarm sensors must be removed as no responsibility will be accepted for damage to same. 3 You must remove or re-site any gas, electrical, plumbing, security alarm, phone installations, television aerials or any similar installations and connections if this is necessary. The Company will not accept responsibility for any damage caused during installation. 4 You must make sure our workmen or agents have access to the premises at any reasonable time to allow them to carry out any work they need for the installation to be completed. 5 You must make sure that you do not allow anyone else to do anything which would make the premises an unfit or unsafe working environment for our workmen or agents- In particular, you must make sure all pets are secure. 6 You must take reasonable care of your safety and the safety of other people on the premises while we provide the services. b If you do not keep to your obligations in this clause, we will be entitled to carry them out for you and charge you any expenses we reasonably have to pay as a result. We can do this as well as using any other rights and remedies we have. However, we do not have to do this. a You will be responsible for any loss or damage to the goods from the installation date. However, you will not own the goods until we have received your payment and any other amounts you owe. b Until you own the goods you must hold them for our benefit according to our instructions. c If we have to pay costs to enforce our rights against you, we will aim to recover those costs from you. a The amount we charge you assumes that you do not use your home for business purposes. For this reason if you run a business from your home, we cannot accept responsibility for any loss of profits that you may suffer as a result of us or you breaking this contract. 10 year guarantee on all white windows and doors against bending, bowing, warping and cracking. 10 year guarantee on all moving parts. 10 year guarantee on all wood grain finishes. 10 year guarantee on the installation. 10 year guarantee on sealed roof units. 10 year guarantee on conservatory roofs. You can transfer our 10-year guarantee if you sell the property after we complete the installation. The new owners must provide proof of the works carried out in order for us to transfer the guarantees. We will charge an administration fee of £50 (including VAT) for the remaining term for transferring the Polar Bear Windows Ltd guarantees. We reserve the right to inspect the installation before agreeing to transfer the guarantees. We will write to you and let you know the result of the inspection. We will be entitled to refuse to accept the transfer of the guarantee if our inspection reveals that you have not met the guarantee conditions. We will write and tell you if this is the case and give our reasons. If you have met the guarantee conditions, we will transfer to the new owners, the 10 year guarantees in this clause for the remaining term. All guarantees are valid provided you follow our care and maintenance guide detailed on your Polar Bear Windows Guarantee document, full details of which can be found on our website and are available upon request. This includes but is not limited to the regular washing of the product with warm soapy water. Do not try to clean the products with solutions containing bleach or abrasive cleaners. – Deliberate damage, accidental damage, negligence, abnormal working conditions, failure to follow our aftercare instructions, misuse or alteration or repair of the goods without our approval. – Any product which has been subject to accidental damage, damage by misuse and/or neglect. – If any fault in the goods arises from any specifications you gave us. Any direct loss or indirect loss or consequential loss arising for any reason in relation to any defects or faulty manufacture is not covered. No compensation claims will be accepted or paid in relation to, but not limited to, site visits or corrective works. 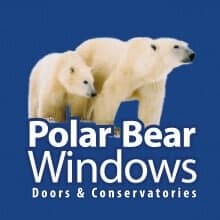 Where written notice of the fault or defect is not provided by the customer to Polar Bear Windows Ltd within twenty eight days of noticing the fault or defect (or as soon as reasonably practical). c If you claim under the guarantees, we will only be liable for replacing or repairing the relevant goods. You must tell us about any claim under the terms of the guarantees within twent- eight days of discovering the fault (or as soon as reasonably practical). You should do this preferably by sending a recorded delivery letter or email. This does not affect your statutory rights to claim for defective or faulty goods or workmanship. d If you claim under the guarantees and our engineer finds that the work you asked for is not covered by the guarantees because the problem falls within one of the exceptions in 10b, we will charge you our standard call-out fee (at the time of your call) for an emergency appointment, or a diary appointment (whichever applies). We will tell you the cost of the appointment when you phone us to make the appointment. Our engineer will give you a quote for the cost of the work. If you choose to go ahead with the work, we will charge you for the work we carry out. You must pay our call-out fee if you decide not to go ahead with the work. e We also give you our security pledge that if an intruder forces their way in to your home through a door or window’s multipoint locking system – we have supplied and installed (other than by breakage a fixed panel whether glazed or not) and you suffer theft, damage or loss, we will replace and install the product free of charge. This security pledge cannot be transferred to anyone else. f You will find the terms of the Polar Bear Windows Ltd guarantees and the security pledge in our document ‘Polar Bear Windows Guarantee’. g Apart from the above situations, you or we cannot transfer the guarantees to anyone else. h We will not be liable or have broken the contract if there is a delay carrying out our services if the cause of the delay is beyond our reasonable control. unavoidably from the process of manufacturing toughened glass. p We may make an appointment for our engineer to visit your premises if you have contacted us to make a claim under any of our guarantees (in line with 10b); or make a claim under the security pledge. You may cancel or rearrange your appointment as long as you give us three days’ notice. If our engineer calls and on two occasions cannot gain access to your premises to carry out an inspection or any work necessary, we can charge you a fee for our engineer’s time and cost. We will only make this charge after you have already failed to keep one appointment. q Sometimes, our engineer may be delayed because of circumstances beyond their control and we will not be liable to you for any delay. We will make every reasonable effort to tell you if our workmen have been delayed and when they are likely to arrive. a This clause applies in the following circumstances. – You make a voluntary arrangement with your creditors. – An administration order is made against you or you become bankrupt or go into liquidation. – Someone takes possession or a receiver (including an administrative receiver) is appointed over any of your property or assets. – You stop or threaten to stop carrying on business. – We reasonably believe that any of the events mentioned above are about to happen and we tell you this. b If any of the above happens, we will be entitled to cancel the contract or suspend any further deliveries without liability. If the goods or services have been supplied but not paid for, you must pay any amount you owe immediately. This will not affect any other rights or remedies we have. a We will be entitled to carry out any of our obligations or rights through any other company which is our holding or subsidiary company. However, apart from this you and we cannot transfer this contract to any other person without both of us agreeing in writing. b If you break the contract and we decide not to take action in this instance, it will not affect our right to take action in the future. c If any of these conditions is held to be invalid or unenforceable, it will not affect the other conditions. d Any notice must be delivered by hand or sent by first-class post or recorded delivery. If sent by post it will be assumed to be received two business days after posting. We strongly recommend that you send any notices to us by recorded delivery. If sent by hand or recorded-delivery post, to prove whether a notice has been delivered, you or we must produce a signed receipt. If sent by post you or we must prove that the communication was in an envelope which was properly addressed, stamped and posted. Your address will be the installation address shown in the schedule. e This contract does not create any right which can be enforced by any person other than you or us except for rights under our 10-year guarantee that are validly transferred under clause 10b and may be enforced by the person to whom the guarantee is transferred. f This contract will be governed by English law. If there is a dispute, it will be dealt with in the English courts. g Unfortunately we have to use abbreviations and product codes. If you are not sure what they mean, please ask the salesman or surveyor. h We cannot guarantee that you can eliminate condensation by installing the goods. Double glazing is designed to reduce heat loss. Fitting double glazing products will not prevent condensation. This depends on the environment within your home. i By law the glass we use must meet building regulations. From April 2002 the glass we use in your windows and doors (where the glass area is more than 50% of the overall size of the frame) will have a slightly different appearance to ordinary annealed or laminated glass. You may notice a slight difference between the colour of the glass in your new windows and doors and the colour of the glass in your existing windows and doors. j All leaded and Georgian-effect products may have slight variations and we cannot guarantee to completely match patterns next to windows or door areas as the patterns are set out and spaced according to general trade practice. k If you ask us to do investigative work to see if the installation is suitable for your property you should realise that to carry out investigative work there is the risk of damage to your property. We cannot be liable for consequences or making good the area we have investigated. However, we will use reasonable care and skill when carrying out the investigative work. a. If you have a complaint we want to know as soon as possible to help us to put things right promptly. Contact our Offices with your details and a description of your problem. We are here for you from 9am to 5pm Monday-Friday and 9am to 1pm Saturday. Call us on 0800 078 7449 / 0117 327 0127 or email us sales@pbwl.co.uk or write to us at Polar Bear Windows Ltd., Customer Services, Jarretts Garden Centre, The Park, Willsbridge, Bristol BS30 6EE. – Keep you regularly informed of progress throughout. Warranties) and The UK Trades Confederation. dispute resolution. Should you wish to refer the complaint to them, please contact Which?